Limited time offer while supplies last. Subject to change without notice. Whether you are looking to rent a Tallahassee apartment, condo, or townhome, we can find you the perfect place. 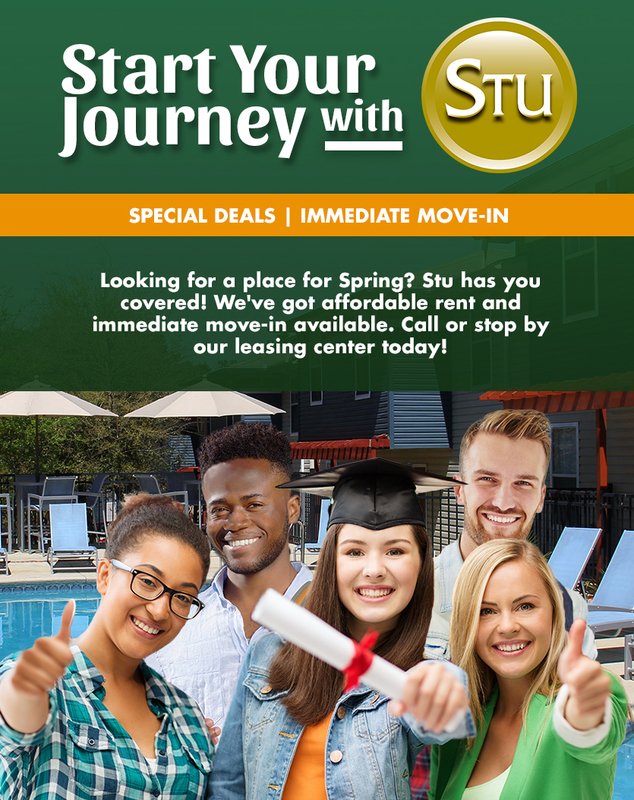 Student Housing Solutions is home to over 20 different student apartment communities and is Tallahassee's largest provider of off-campus student housing. Our Leasing Center is conveniently located in the heart of Tallahassee's student rental market at the corner of Ocala and Pensacola Street, next to Bill's Bookstore and Gold's Gym. Be sure to stop by and let us find you the perfect place to live. $300 gift card with new lease of a 2/2. Don't miss this chance to live walking distance to FSU. 1-Month FREE or 42" TV with any new lease! You won't find a better deal on a 1/1 anywhere. Only 3 left!